Astrology is a science which deals in the effects of planets on living beings. To predict the planets' effects, one has to calculate the position of planets and their strengths. 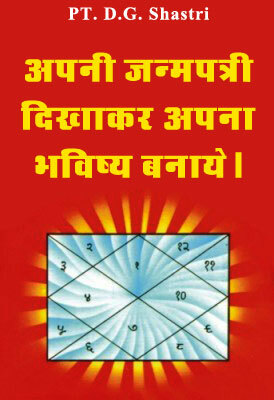 All India Astrological Services' horoscopes are known for their accuracy and quality of predictions. Maumiya Jyotish offers comprehensive resources and complete solution to all by offering a wide range of features and options in exploring the Science of Indian Astrology. This exhaustive knowledge portal is designed on the principles and practices of Pandit D.G. 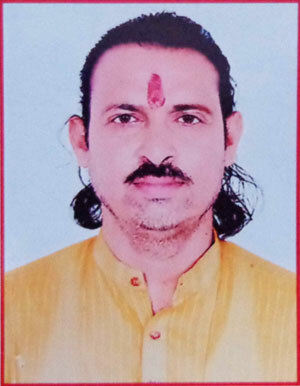 Shastri, spiritual astrologer based in India. We are committed to spread the knowledge of our Pandit ji to millions of people worldwide. Our vision statement is to deeply research the traditional Indian astrology knowledge and spread the same globally. Our horoscope predictions are based upon most exhaustive calculations, such as Shodasvarga Astavarga which provides different kinds of planetary strengths and four kinds of Dasha with sub-period details. The predictive part contains Dwadash Bhava, Dasa and transit Phal. In the Bhava Phal each house results are given separately, taking account of all planets and their aspects such that there are no contradictions. Maumiyajyotish.com is a website on the subject of Indian Astrology, an initiative taken by Pandit D.G. Shastri, one of the best astrologers in India to make people aware about this ancient science. Horoscope matching is also one of the services offered by All India Astrological Services. Horoscopes of two individuals (male and a female) are matched for mutual compatibility. It provides information on how the two will relate in the future. It includes authentic analysis of various factors such as Ashtakoot and Manglik Dosh and tells what kind of partnership is suitable. It also suggests the remedial measures in case of strong Manglik defects. Another valuable service offered by us is "Nakshatra Phal" for newly born babies. It gives an analysis of the Nakshatra in which the child was born. It provides the "Paya" description and the effect of birth of child on parents, brothers and sisters. It also gives the lucky stone, colours, numbers, and mantras for the child. •	To promote and standardize astrology and other allied sciences internationally. •	Hence it has facilitated astrologers with a complete astrological tool in their pocket useful for casting horoscope anywhere, anytime. •	To serve the mankind by utilizing the science and making every one aware of all the new developments taking place in this field. •	To spread the knowledge of these sciences to the masses, Future Point invited societies from all over India. •	To promote the researches in this filed, it also started publication of the bilingual quarterly magazine Research Journal of Astrology. •	Provides personal consultancy on Astrology, Palmistry and Vastu in person and on net. •	Future Point entered into the field of Remedial Measures to provide genuine remedial and spiritual products under one roof.